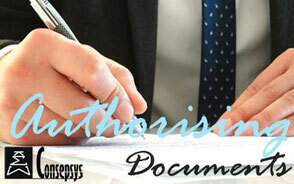 Is electronic signature valid and acceptable? Electronic signature and its legal and contractual validity is a hot subject in many countries, industries and companies. For long, it was some kind of grey area, where there was no clear law or ruling about its validity, leaving many companies in doubt: can we accept electronic signature on documents? Is it as strong as wet signature? More and more companies are now using electronic signature, but many are still in doubt. There are however a growing number of countries implementing laws or ruling on electronic signature. The European Union (political and economic union of 28 countries) recently implemented the Electronic Identification and Trust Services Regulation (the regulation no 910 / 2014, effective as of the 1st of July 2016, can be read here). The regulation (nicknamed eIDAS) is a single, standardized regulation for all 28 member states, and is not subject to state interpretation or modification. 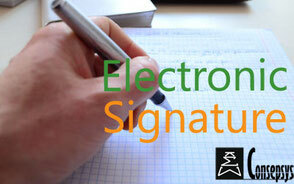 It is a consistent legal framework for the recognition of electronic signature. 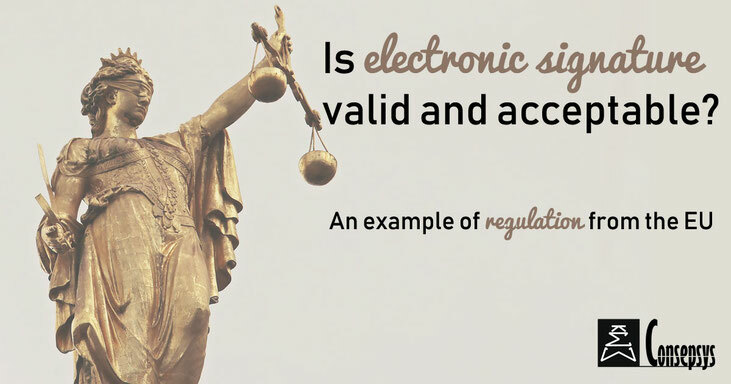 The main strong statement from the eIDAS regulation is that an electronic signature shall not be denied legal effect and admissibility as evidence in legal proceedings solely based on the fact that it is in electronic form. This includes electronic signatures, seals, time stamps, registered delivery services and certificates for website authentication. However, to be strong and valid, the electronic signature should be issued through a trusted company. The regulation gives a definition of the “Trust Services”, the companies that provide electronic signatures, seals and stamps. 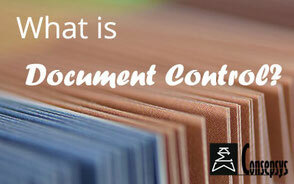 It defines qualified and nonqualified Trust Services, including the requirements and supervision associated with them. The “Advanced Electronic Signatures” allow unique identification and authentication of the person who signs, and enables the verification of integrity of the signed document. The authentication is done through the issuance of a digital certificate by any Certificate Authority. What is a “Qualified Electronic Signature”? Like the “Advanced Electronic Signature”, the Qualified Electronic Signature is uniquely linked to the signer, but the latter is based on Qualified certificates, which can only be issued by a Certificate Authority that has been accredited and meets the requirement of the EU eIDAS regulation. Qualified electronic signatures are the only type of signature that is mutually recognized as valid by all the EU member states. 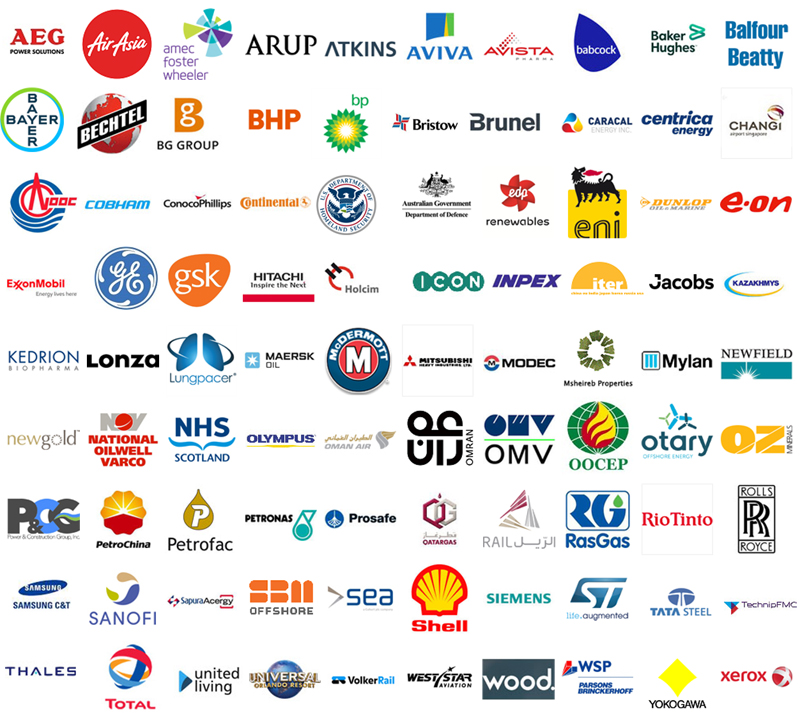 Who are the accredited Certificate Authorities? The list is meant to grow in the near future, as the regulation is implemented and as more and more providers are working towards the EU guidelines. What about in other countries? What about in other countries? Is the electronic signature legally valid outside the EU? Each country is different on the matter and is able to allow or not the electronic signature, and to give limitations to its use.